During the 1990s, Asian pop artists began entering the mainstream of the British music industry for the first time. Bands such as Black Star Liner, Cornershop, Fun Da Mental and Voodoo Queens, led those within and without the industry to start asking questions such as what did it mean to be Asian? How did the bands' Asian background affect their music? What did their music say about Asians in Britain? 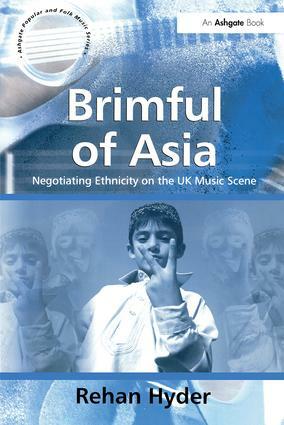 In this book, Rehan Hyder draws on in-depth interviews with musicians from these bands and with critics and record producers, to examine the pressures associated with making music as a young Asian in today's multi-ethnic Britain. As the book reveals, these musicians wish to convey an authentic sense of creativity in their music, while at the same time wanting to assert a positive ethnic identity. Hyder explores these two impulses against the backdrop of a music industry and a society at large that hold a range of confining stereotypes about what it means to be Asian. The experiences of these bands add considerably to the wider debate about the nature of identity in the contemporary world.